Diggers Valley: Eva's Calving Competition 2016. Eva delivered a tiny daughter at 3.35pm on Saturday, 22 October. The usual gestation period for cattle is 275 - 290 days (about two weeks longer than human babies). 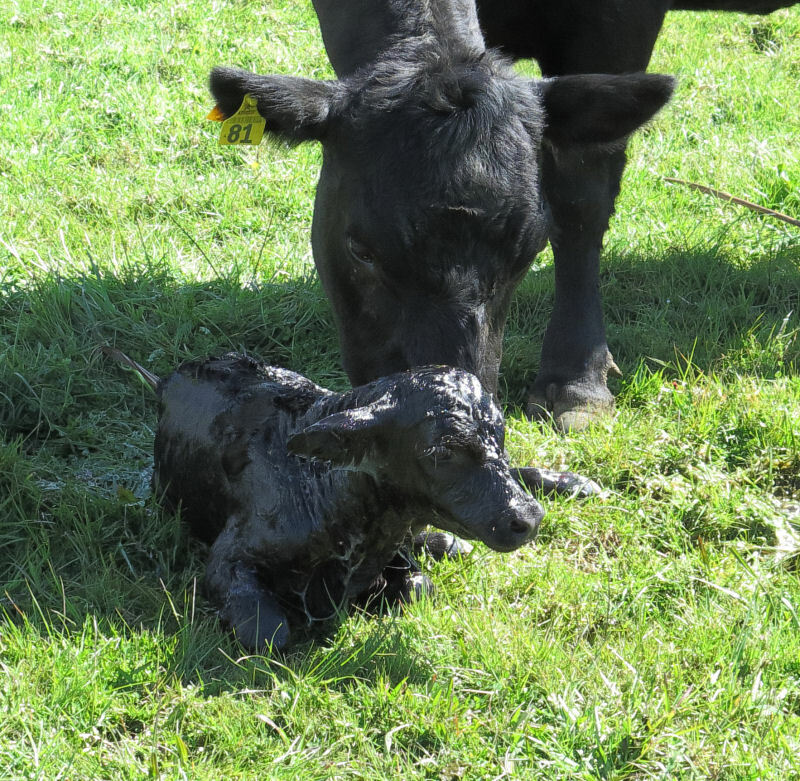 This year's calf is sired by Dexie 101's son, 137 and the action of interest occurred on 16 January. The prize is a weekend for two on the farm as our guests, for guessing closest to the actual time of calving. The Competition closed at midnight on Sunday 16 October 2015.